Television Talkshow Episode 1: "Introduction of The Institutional Strengthening on Integrated Water Resources Management of CRB in Responding to Climate Change"
Television used to deliver the message about the importance of multi stakeholders supports for responding climate change issues in IWRM-CRB. 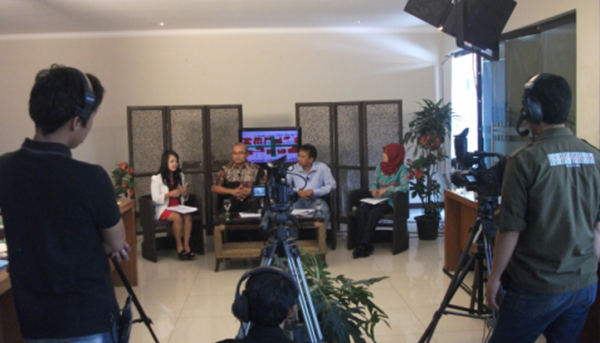 TV talkshows were recorded and aired in two TV stations in Bandung (PJTV and MQTV). This activity was completed as a part of TA ADB 7189 Awareness Raising and Communication series of activity.The first talkshow was recorded on 10 October 2013 during the coaching workshop of CVI in Pangalengan. 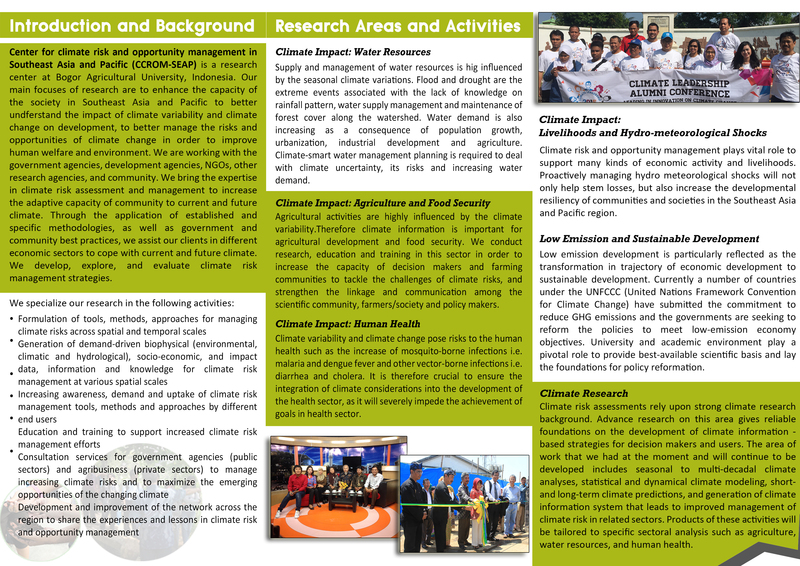 The objective was to introduce audience both in the workshop and the wider audiences from the broadcast with the climate variation and change, Citarum issues and challenges, current status, and opportunity to improve the situation from institutional aspect and participatory approach. 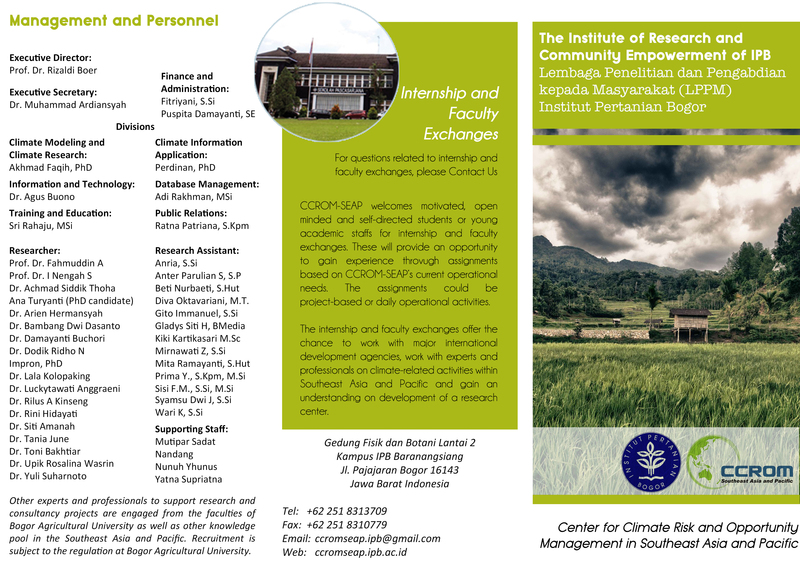 The resource persons invited on this episode were Mr. ArifWibowo (Ministry of Environment), Mrs. DewiNurhayati (West Java Province for Environmental Management Agency), and Prof. Rizaldi Boer (Team Leader). It was explained in the talk shows that to promote the situation in CRB, strength commitment from the government is needed, and fully supported from private and the community participation. It is explained that through ADB TA 7189 E, the government of Indonesia with the technical assistance from the ADB intends to strengthen the institutional aspect of the integrated water resources management to respond the climate change.